Psychology Club held their monthly lecture was held in the media center about Islam yesterday, Feb. 23. Junior Karelis Martinez decided that this lecture should be held and heard. 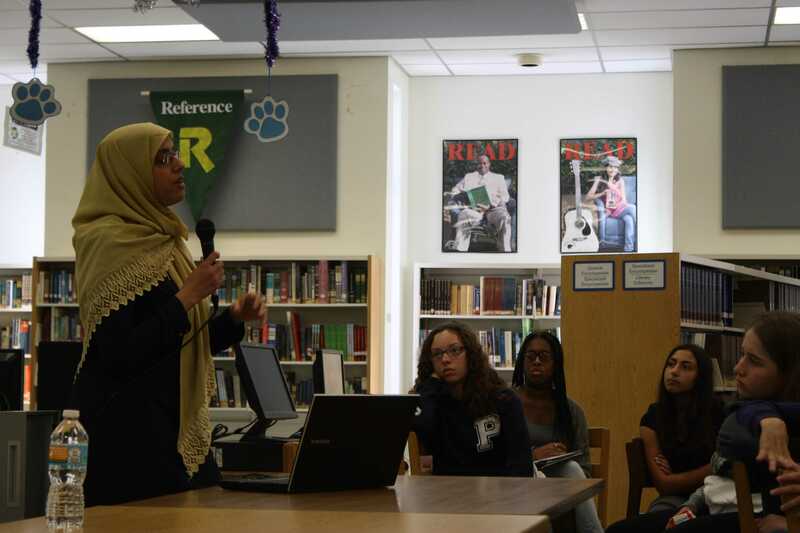 Dr. Aisha Subhani visited Palmetto after school to give a presentation on the myths of Islam. Physician, Muslim scholar and Lecturer, Dr. Aisha Subhani serves as an advisor to the Muslim Women’s Organization, one of the board member for Youth Coalition of South Florida and a member of the Coalition of South Florida Muslim Organizations. In the lecture, Dr. Subhani presented many facts and misunderstood things about Muslims and their faith, many times only associated with terrorist acts and not the virtues promoted within the religion. “I wanted to know more about the Muslim culture and more of where they come from,” freshman Nikaya Wembly said. Dr. Subhani also explained the importance of knowing the context of writings in the Qur’an to avoid misleading ideas, which she believes triggered the radicalist ideals of ISIS.